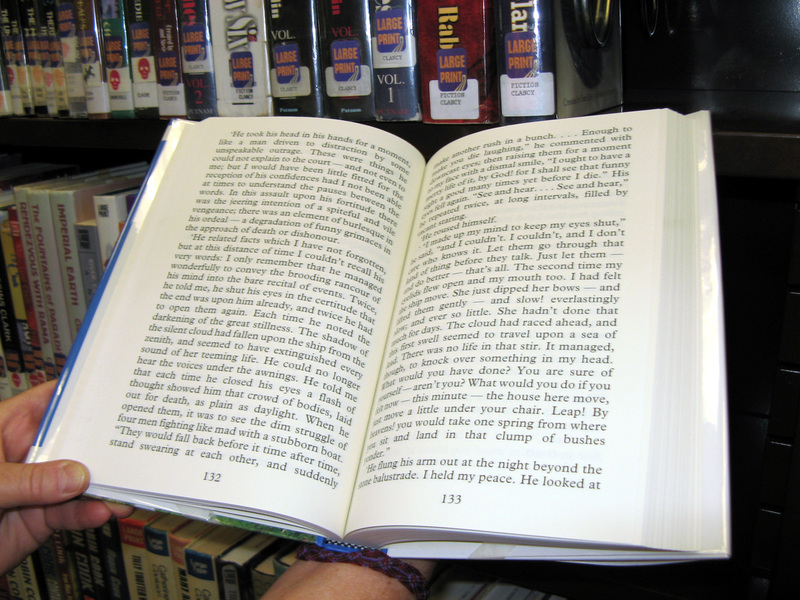 The Friends appreciate all of the items donated that we can sell at our monthly and in-library book sales areas. Items can be dropped off at the Madelyn Helling Library (980 Helling Way, Nevada City) on the table in the carport area or in the FOL bin located outside of Raley's grocery store in Grass Valley (Freeman Lane). Large pick-ups can be arranged by calling 530-265-1407 or emailing the Friends at friends@ncfol.org. Monetary Donations The Friends of the Nevada County Libraries organization supports our County Libraries through our major monthly book sale, ongoing sales at library branches, and monetary donations which are used to support purchases of library materials, equipment and programming. We are a 501(c)(3) nonprofit organization. Donations are tax deductible. ﻿﻿﻿Leave a Legacy - Remembrance Donations ﻿﻿﻿are given in honor or memory of an individual or group. You can request the donation be used for a specific purpose, for example, a specific book for the collection, a piece of furniture or other larger item. 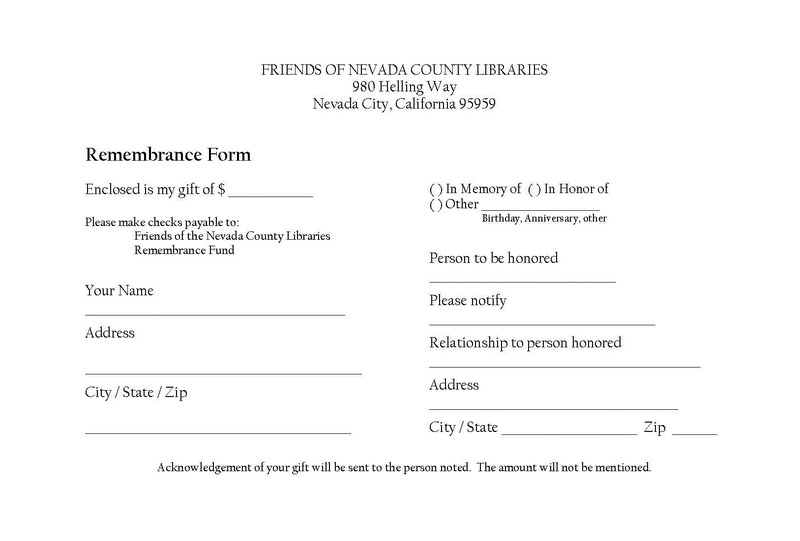 The Friends work with the County Library staff to fulfill the donor’s wishes regarding the intended gift. Donations Via PayPal™ Donations and Remembrance donations can now to made using PayPal™ via the Friends website. This new convenience will help those who wish to use a credit card to make these contributions to the Friends. It’s as Easy as 1 – 2 – 3 ! 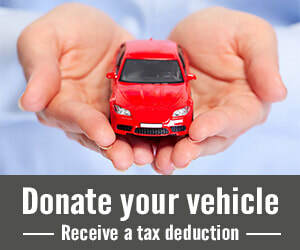 Your donated vehicle can help pay for books and other materials for the County Library System. It’s easy and convenient – just a phone call away. You will be given a tax receipt. The car does not need to be running or have a current smog certificate. Domain Registration provided by﻿ Spiral﻿.